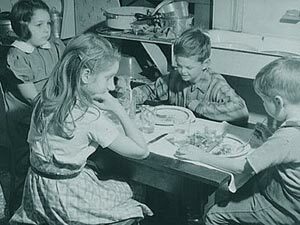 Many of us remember when we were little the adult table and the kid table at Thanksgiving or Christmas dinners. It was always an exciting time when we “graduated” from the kid table to the adult table. No more seating assignments next to little Johnny where you were expected to help him eat his food and be the ever-present care-taker of all things little-kid related. Finally, real conversation would take place. As expected, once an individual made the transition to the adult table no clear-minded adolescent wants to go back to the kid table. There are certain behaviors that follow in suit with the movement from the kiddy table to the adult table. And at some point all kids grow up and make this move; you don’t see many adults sitting at the kid table. Why? Because growing up is part of what we’re called to do. Ponder on this for a moment: how many Christians, in their spiritual maturity have been sitting at the kid table for far too long and haven’t grown up? Growing up in our faith is an expectation that God puts forth in his Word. Part of our spiritual DNA is not to be complacent or stagnant but there is to be movement, movement to become a more faithful believer and follower of Jesus.